Look up the word "lucky" in the dictionary and you might see a picture of Dan Garnaat in there. The Arkansas homeowner once won $10,000 in the Powerball lottery AND he won one of the grand prizes in the 2014 The Great TOH Giveaway — a free DaVinci Roofscapes eco-friendly roof! "My ranch-style home was built in 2000 and the roof had been showing signs of wear recently," says Garnaat. "I had noticed a fair amount of asphalt shingle aggregate in the gutters lately, which is never good because it means the shingles were starting to fail. I was hoping to put off getting a new roof because I just had to replace my heating and air system, which was costly. This synthetic shake roofing prize from This Old House magazine and DaVinci came at just the right time!" Garnaat selected a Bellaforté Shake designer roof as his grand prize. To complement his single-level home he chose the composite shake roofing in the Tahoe-VariBlend combination of Light Tahoe, Medium Light Tahoe, Medium Tahoe and Medium Dark Tahoe. "The crew from Foster Roofing stripped the old roof off and installed the new synthetic shake shingles in a little over six hours," says Garnaat. "I'm really happy with the look of this fake cedar shake product. I even have enough leftover synthetic cedar shake shingles to cover the dog house! 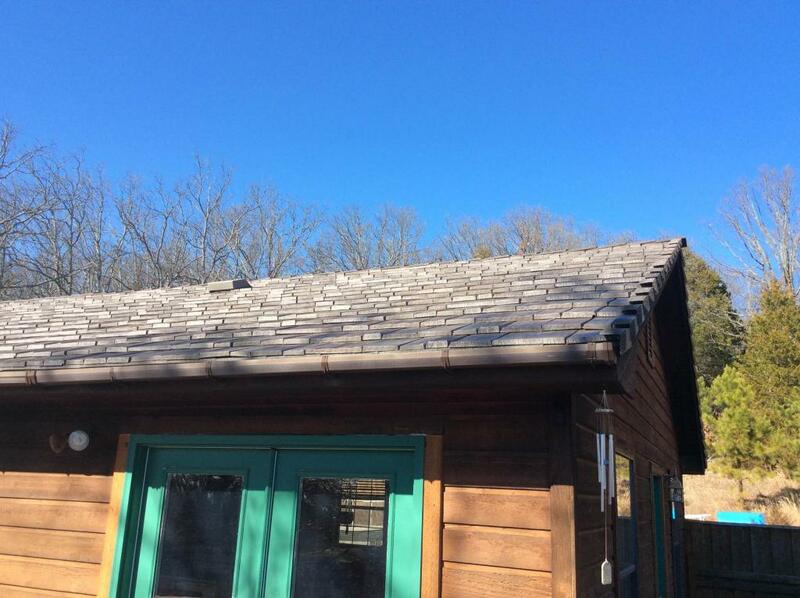 "I've had many good comments on this new shake roofing materials from others. When I tell them that the product is Class A Fired Rated, resists impact and has a lifetime limited materials warranty they're even more impressed!" For another winner's story see DaVinci Roofscapes WINNER Share Her Experience.